In 1535, the King of England was married to Anne Boleyn and they had a daughter, Princess Elizabeth who was now heir to her father’s throne. 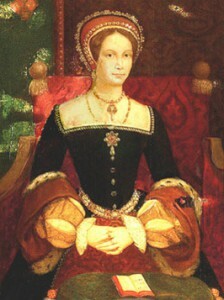 Elizabeth’s half-sister, Mary was now considered illegitimate and was to be referred to as “Lady” Mary. As you’ll notice from these letters written by Eustace Chapuys he still referred to her as “Princess” since he was their Spanish ally and believed she was the rightful princess and Katherine the rightful queen. In the first letter from Chapuys to Charles V (nephew to Katherine of Aragon) you see mention to Mary being ill and wishing to have mother and daughter together. The request was of course denied. There was also talk of a marriage for Mary but that those who were interested in marrying her were below her station. 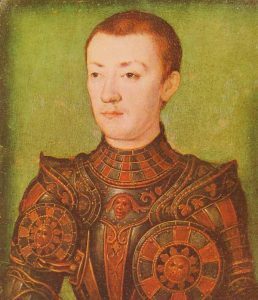 There is also mention of the “French Dauphin” who is in reference to Francis III, Duke of Brittany, eldest son of King Francis I of France. The Dauphin died the following year in 1536. …she is continually telling the King that he does not act rightly or prudently in allowing the Queen and the Princess to live, for they deserve death (she says) much more than those who have lately been executed, since, after all, they were and are still the cause of all the mischief. 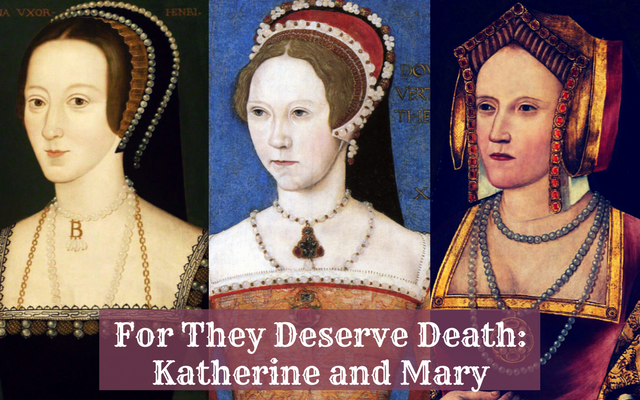 It’s when I read quotes like the above that I become less of a fan of Anne Boleyn and feel strongly sympathetic toward Katherine of Aragon and Mary. I mean, how can you not? The second letter shared with you here shows the politics between Spain and England during this time. It also mentions the ‘King’s Fool’ and an incident with him and his words against Anne Boleyn. The English are daily becoming less tractable, especially in the treatment of the Princess. Hears from one who is frequently at the house where she is now residing that the King is afraid of the French carrying her away; that is why strangers are forbidden to approach her, and an armed watch kept around the house and at the nearest sea-ports. I told Cromwell the other day that I should soon be obliged to go to Flanders on private business of my own; though in reality to prepare for the Princess’s flight. When Cromwell heard it, he was taken aback, as if he feared that I might leave the country altogether, never to return to it. I shall certainly leave him in that suspicion, which will rather increase than diminish, owing to the fact that foreign merchants are quitting this city one by one. Of the German captains and soldiers who came from Lubeck not one remains here.